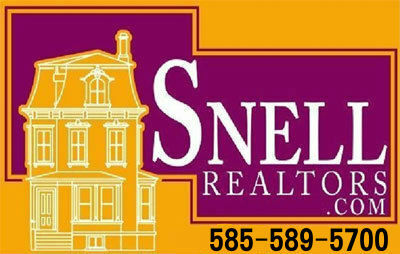 Peter Snell Realtors, Inc., located on historic Main Street in Albion, New York, has the honor of being the oldest independent real estate company in Orleans County. Currently, under the direction & guidance of Broker/Owner, David Snell, Peter Snell Realtors, Inc. has expanded their services into Monroe, Genesee, Erie, and Niagara counties. In 1957 Peter Snell started the future of Peter Snell Realtors, Inc. as co-founder and dedicated broker of Paganelli-Snell Real Estate. The focus of Peter Snell was, and still remains today, to provide quality service to those looking to buy or sell real estate. Although, Peter passed away in 2000, his dedication & commitment in serving the real estate needs of those in the Orleans County area has been our guide as we continue to successfully expand our services into the surrounding counties. We are confident that you will experience a better real estate transaction with our agents as they are those quality and experienced individuals who support our goal of expert service in the buying and selling of real estate. Each agent is not only required to complete a 75 hour course and pass a New York State exam, they are also required to continue education every two years in order to stay current with the ever changing system. Each agent is also required to complete an Ethics Course as well as a course in Federal Fair Housing every two years to ensure that we continue to give the quality, honest, and consistent service that we value so much. Our Administrative Director offers 20 years of real estate experience and works very closely with our agents as well as co-brokers, attorneys, and mortgage representatives. Prompt attention is given to all the major and minor conditions of your Purchase Agreement so that all details are covered. Give us a call today to discuss your real estate needs!